Drones have been widely available on the market lately and they come in all sorts of shapes, sizes and colors. Many people look at drones and see an over-the-top expensive toy. I, on the other hand, as a prepper, see opportunity. And with good reason. 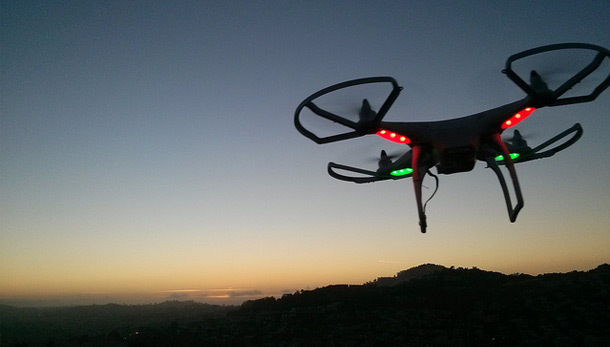 Drones are remote-controlled gadgets, with enough battery autonomy that have cameras attached. No special skills are required to handle your very own drone and you can even pair with your smartphone. You can use drones in a TEOTWAWKI scenario to gather intelligence in your surroundings without being physically present in a possibly hostile territory. Reconnaissance missions will no longer require special preparations, other than that of flying a drone that has a camera attached. The cameras can take high quality pictures and even videos with sound. If you’re smart phone allows it, it can even emit in real time. Many drones have a built-in GPS software that helps them return safely to their launch point, in case radio contact is lost. However, in a survival scenario, the GPS service might not be available, so keep that in mind before taking off. First and foremost they are battery operated. So if you plan on using the drones even when everything falls to bits, you’ll need to ensure you have a recharging station, based on fuel, or even better, solar panels. They are computer and smartphone friendly, which means they have USB ports that allows you to connect your drone to your computer, for easy access and settings; you can even follow the flight path in real time from your smartphone and even adjust camera angles. The flight speed varies from model to model. The average drone flies at about 25 mph, but the more expensive model can reach staggering speeds of even 80 mph. Autonomy and control distance is also variables from one model to the next, but an average fully charged battery gets depleted in about 10 – 30 minutes. There are also gas-powered drones available on the market, their autonomy is superior to the battery operated ones, but they’re also more expensive. A drone can serve many purposes in SHTF situation: scouting and surveillance flights, scouting for wild game and even delivering messages from A to B. On the downside, drones are very visible and can attract unwanted attention. They can be taken down easily or even worse, followed to give away your location. So you’ll need a bit of practice before using it in a critical situation and A LOT of caution. 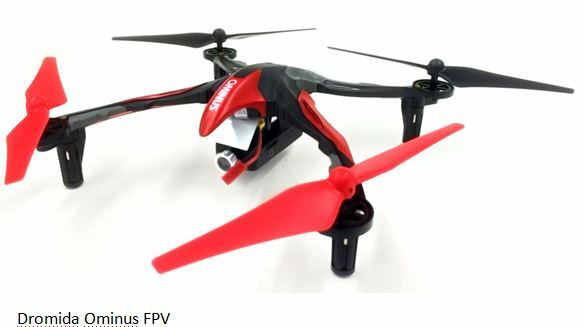 The Dromida Ominus FPV is one of the cheapest drones on the market, which is perfect for flight practice. The camera quality is rather good and it has great connectivity to your mobile device. It’s easy to use, has decent autonomy and it can be very fun to fly. For those of you that are looking for a device to get you started in the drone area, look no further. The Dromida Ominus FPV is a resilient little gadget, comes in many colors you can choose from (blue, green red, yellow), is both iOS and Andriod compatible (so you won’t have to change your phone) and costs only $150. If you’re interested in purchasing it, go here. 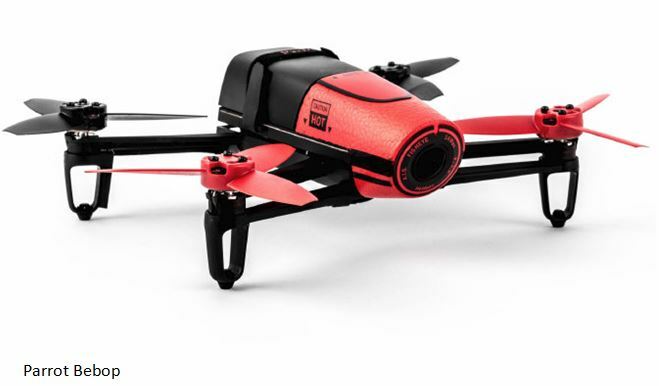 The Parrot Bebop drone is possibly the most renowned of the Parrot company and it is a semi-pro drone, meaning it’s considered to sit in between toys and professional drones. The drone itself is very lite and incredibly maneuverable, making it easy to fly even in closed spaces or indoors. It supports smartphone and tablet connectivity and it comes with two batteries. The battery, if fully charged, should last about 10 – 15 minutes of continuous flight. The onboard camera is decent; it has a resolution of 1080p. The base model comes at about $450, but if you’re willing to spend more you can get the model with the range extension, that will allow it to fly further. For more details, go here. 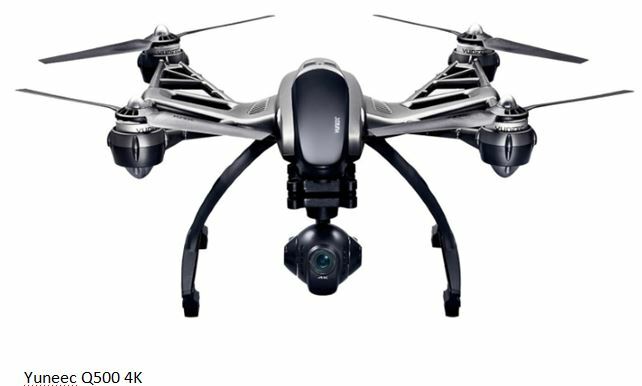 The Yuneec Q500 4K is drone whose popularity is growing steadily amongst the drone enthusiasts thanks to its camera quality. The built-in camera has a 4K resolution (4000p), meaning the image quality it offers for both pictures and video is unbeatable. It comes with two batteries and the camera is removable. There’s also a version that comes with a 1080p camera, but the $k version is of course far superior. The controller has an android built into it, so you don’t necessarily have to use your phone or tablet for maneuvering the drone. The model doesn’t have many gadgets and accessories available yet, but it won’t be long before Yuneec releases a bunch, considering how fast this little drone is gaining in popularity. Getting your very own drone is nowhere near a bad idea. Flying one can be really fun and addictive, so if you’re lacking a serious hobby, drone flying could just fill that void. Enjoy it and practice, you’ll never know when your drone piloting skills will save your neck in a SHTF scenario. We’re all aware of what a gas mask is; at least we have some idea about them. Gas masks (aka. respirators) are heavily used in society. The Police force has them, the Special Forces have them, the firefighters have them, spray painters have them etc. The basic use of a gas mask is to serve as a filter for the air you’re breathing in and to stop possible irritants and noxious substances from getting into your respiratory system and affecting your health. The best gas masks (or respirators) are based on the same principle: the air is pulled into the canister that has a filtering system (on 3 layers: dust filter, charcoal filter, and aerosol filter) and then is released towards the interior of the mask; the filtered air is safe to breathe. 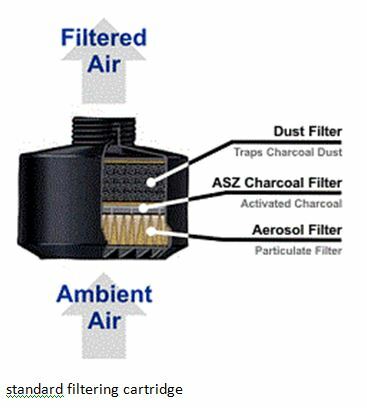 The air is sucked into the canister as the wearer breathes. There are also battery operated gas masks, equipped with a fan, that will siphon air inside, but become useless when the batteries die out. There are also some that work just like a scuba breathing system: they don’t have a filtering canister, but a pressurized air canister, that is completely sealed. 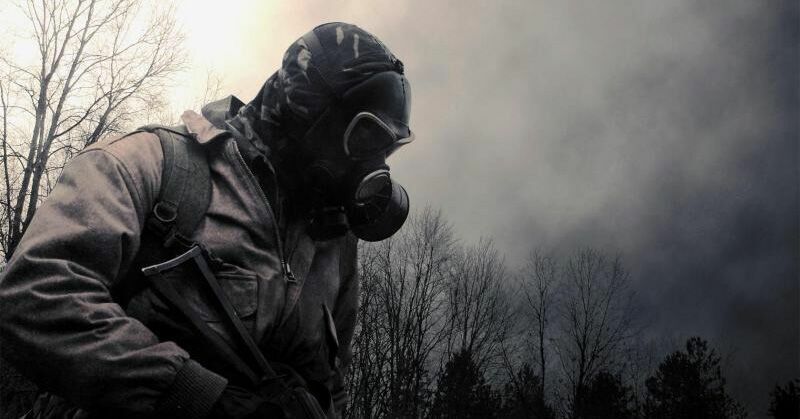 A gas mask is a real asset for any serious prepper. It’s an absolute must-have in case of a chemical or biological attack. Works just as well in a combat zone, as it’ll filter out heavy smoke and even dust clouds. There two main types of masks: half masks and full mask. I half mask will cover your mouth and nose only; they’re used in spray painting and are recommended only if you know what contaminant you’re dealing with. In case of an extremely dangerous contaminant or if you simply don’t know what you’re facing, a full gas mask is the way to go. Not only will it cover your respiratory system, but I’ll also protect your eyes and face from dangerous agents, like Anthrax etc. 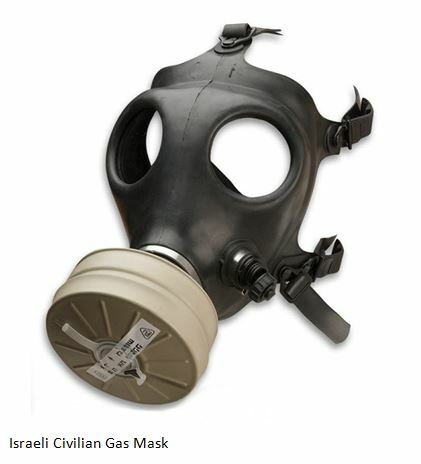 This gas mask was issued by the Israeli government, is NATO approved and it’s perfect if you consider the quality / price ratio (it costs about $80). 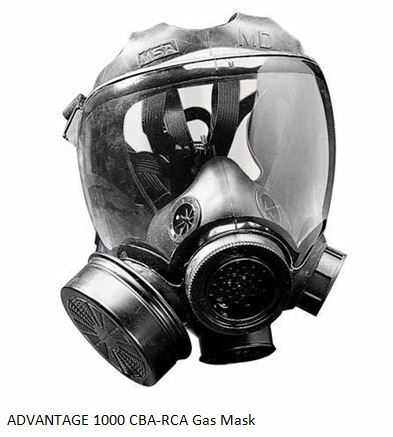 Because of the relatively low price and good features, it’s regarded to be as the standard gas mask for civilian protection. It’s best used in an evacuation scenario from a contaminated area. The mask itself is made out of a soft but durable rubber that covers the whole face (full mask); it offers great protection not only for the respiratory system but also for the entire face. It has extremely efficient filters (NBC filters) that will keep you safe from almost everything, from nuclear and biological agents (like Anthrax) to chemical agents. This particular gas mask comes in both adult and child versions. 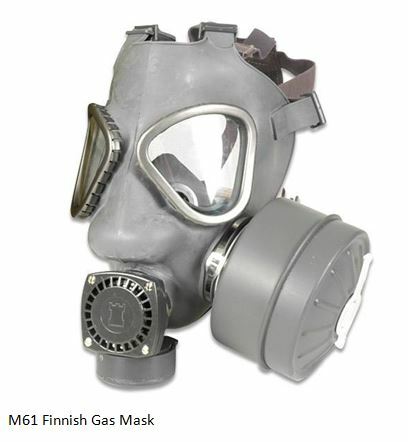 The MA61 model was developed in Finland and it’s meant to be used as a heavy-duty gas mask. It’s a side-mounted mask, which means the filter is screwed into the side of the mask, rather than in the font. The rubber it’s made from is extremely durable, but rather soft flexible at the same time. Its flexibility means that the mask will incase the face of the wearer perfectly, making it airtight, so that noxious fumes or chemical agents won’t find their way inside. It uses a twin goggle system rather than a single visor. The exhalation system has a plastic valve with an integrated speech diaphragm, for better communication. The 1000 CBA-RCA mask is 100% American and it was developed based on a US Military design that was used by the USAF during the Operation Desert Storm. It has a Hycar face piece which is about 40% lighter than most full gas masks and also a customizable fit. There’s also a standard nose cup to eliminate visor fogging and a mechanical speaking diaphragm. The visor is a one piece that’s extremely tough and offers great field of vision. The canister can be mounted on both the left and the right side and it’s effective against all sorts of biological and chemical agents, like Mustard, Lewisite, GA, GB, GD etc. The head harness is adjustable and stable. There’s also an ID tag attached and it includes a CBA-RCA canister. The whole package comes at about $300. There are plenty of models that are available on the market, it’s only a matter of personal choice. The price of a certain gas mask does not necessarily reflect its quality, so you don’t have to spend a lot of money for a good product that will filter well and fit great. But you’ll need to educate yourself in the matter a bit so you won’t throw your money out the window. Luckily there’s many manufacturer’s and sellers and price ranges vary from one to the other. So keep hunting for bargains, you’ll most likely find them. 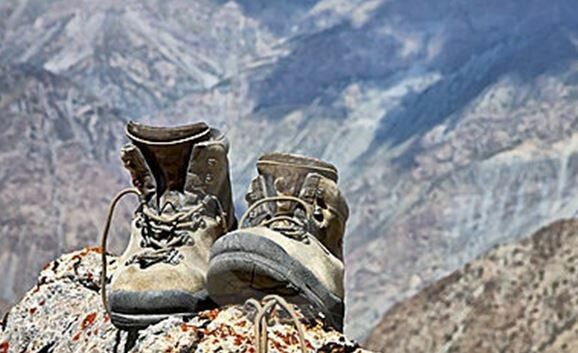 Those of you out there who have done hiking before or any sort of expedition, be it in moderate or rough climates and settings, will no doubt understand why having the right shoes in a TEOTWAWKI situation could mean the very difference between life and death. If you’ll find yourself obligated to travel a lot and carry heavy stuff with you, you’ll need to have the right provisions and gear for the job; and the right pair of shoes or boots is no exception. When it comes to survival footwear, wearing the right pair of shoes or boots will spare you a lot of trouble. There is no universality, in this case, there is no one pair of shoes or boots for all scenarios and settings, but rather specialized products that will suit the wearer’s needs based on terrain, weather, and distance. When choosing yours, looks will be the last thing to consider. You’ll have to take into consideration insulation, durability, shoe size (make sure you get the right size or walking in the wrong size shoes will take its toll very soon), the type of socks you’ll be wearing (normal or hiking socks), the terrain and weather conditions you’ll need the shoes or boots for and ultimately the fact the sturdy footwear will need to be broken in. They might not feel comfortable at first, but in time, you’ll get used to them. Price is also an important issue, especially for tight budget preppers like me, who never feel like spending more than they absolutely have to. There many products available on the market and the prices vary a lot. But know that “expensive” is not necessarily equivalent with “best” when it comes to survival footwear, so you won’t have to sell your soul just to afford a pair of trail shoes or boots. Hiking boots are the right shoes bring along for planned trips, especially if you’re planning on staying a bit longer outdoors; they work extremely well and will be very comfortable if you’re dealing with moderately rough terrain. They should be well built, fairly insulated and if you’ll be carrying some weight, they’ll be the best option you have. The sturdier the boot is, the more resistant it will be in the field. The taller boots are usually more durable and will offer better ankle protection. The best ones are partially waterproof and will be as comfortable as possible even after long walks on rough terrain. The Durand Mid WP is what I’ve been using lately and it’s probably the best pair I’ve had so far: it’s waterproof, breathable and it has an integrated heel cushion and midsole for better comfort. This particular type of hiking boots takes the hiking game to a whole new level. They’re the best option for those who spend more time on the go then they do in their homes. They’re generally used for cross-country backpacking, be it on normal or very rough terrains. They might not be as light as regular hiking boots, but they’re the better option, as they’re tougher and better for people that are carrying heavy loads throughout rough terrains and settings. 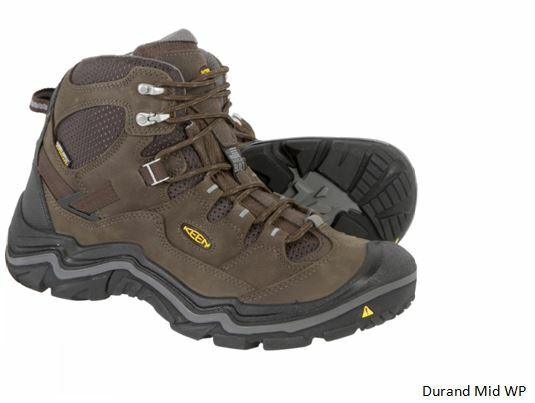 Choosing a pair of heavy-duty hiking boots will require a great deal of attention on your part. These types of boots don’t necessarily feel comfortable at first, you’ll need to break them in first. So try them on carefully before purchasing and analyze whether they’re worth the money or not. The most serious stores have small areas that will simulate the boots performance on various terrains. 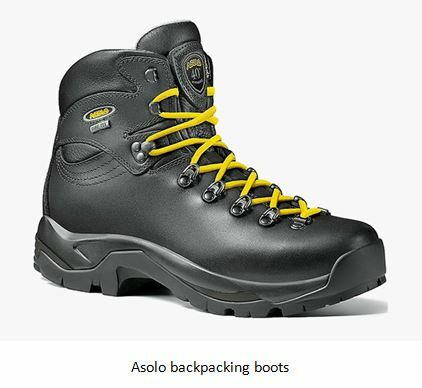 The Asolo backpacking boots, with Gore-Tex inserts and Vibram outsoles, are some of the best heavy duty hiking boots on the market; they’re pretty light too, as they weigh less than 2lbs. They’re the epitome of survival footwear, and the first clear sign you get is in the price, as even the cheapest pair of mountaineering boots will cost no less than a couple of hundred bucks. As the name clearly shows, they’re suited for hiking in extreme and rough alpine terrain, at high attitudes and low temperatures. They’re built to be heavy and rigid, but with good reason. Even the standard models have very stiff soles and shanks (in order to provide maximum protection to your feet and ankles), a multi-layered build comprised of rigid shanks for stability and protection, an insulating inner lining and a waterproof lining. The soles are very thick and rigid, built for maximum grip even on slippery surfaces. 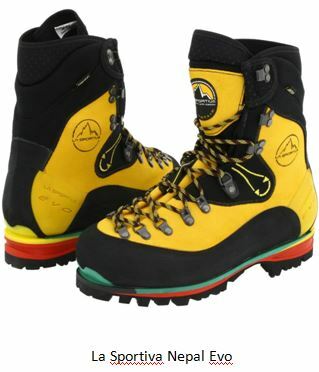 The Nepal Evo, by La Sportiva, is everything I just mentioned and more, with durable leather and metal lace loops and with an impressive overall built that will make it suitable for even the roughest conditions. If what we’ve been looking at so far is a bit much for you, worry not. If you’re nothing more than an amateur hiker that goes on light hikes only, you can always buy a simple pair of regular hiking shoes. These are nothing more than improved sports shoes that will do well on regular strolls in the wild. Unless you’re facing rough terrain in bad weather, you’ll have nothing to worry about. But whether you’re considering buying the simplest pair of hiking shoes or state-of-the-art mountaineering boots, always try them on before buying. Unlike regular pairs of shoes, hiking footwear will require some wearing around the house before you’ll get completely used to them.